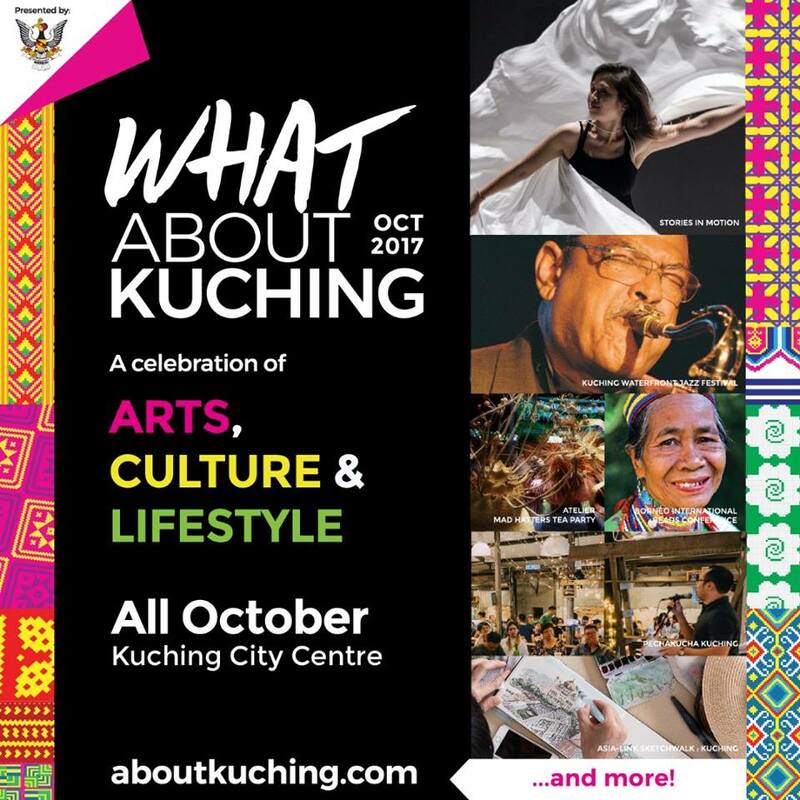 A month-long inaugural event ‘What About Kuching ‘ will be held from September 30 to October 30 in celebration of the art, culture and lifestyle of the Kuching people. Among the various activities to be held are performances and open galleries which will be held throughout the month to showcase the unique and colourful heritage of Kuching and how tradition and modern living and art merge to create the Cat city. Kicking off with the Waterfront Jazz Festival, the month continues with traditional craft events, art displays and programmes, interpretive dancing and theatre performances, martial arts, creative writing and many more. The Sarawak Adventure Challenge will take place on October 14 at Fairy Cave, Bau, 43km or one hour frim Kuching. 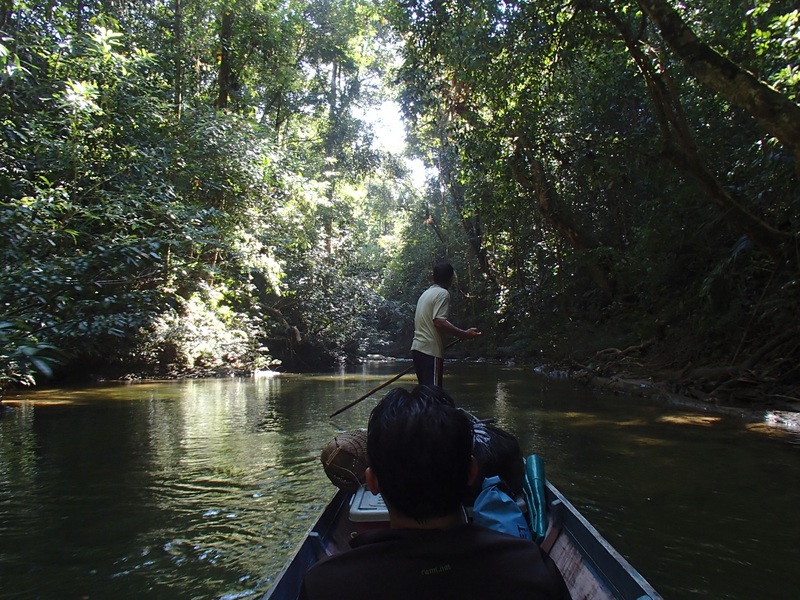 The one-day multi sport race showcases Sarawak’s rainforests, rivers, caves and mines. With the theme ‘The Lost Mines’ this year’s race includes a biking trail through the limestone mining trails around Bau town. The race also includes 20-30 minutes of running through cave passages, where runners are required to wear safety gear. The Sarawak International Open Tenpin Bowling Championship 2017 was held on 6-9 at the Megalanes Bowling Centre, becoming the first of the two international bowling tournaments to be held in Sarawak. More than 500 athletes from 13 countries participated including Australia, Japan, South Korea, India, Hong Kong, United Arab Emirates, Kuwait, Philippines, China, Thailand, Singapore and Indonesia, while some 120 Sarawak players competed as well. The last time the champion being held here was in 1998 and Sarawak Tourism, Arts, Culture, Youth and Sports Minister Datuk Abdul Karim Rahman Hamzah was very positive on bringing it back. Plans are underway to hold the 18th Asian School Tenpin Bowling Championship on November 11 to 17, which will involve players from 16 countries. 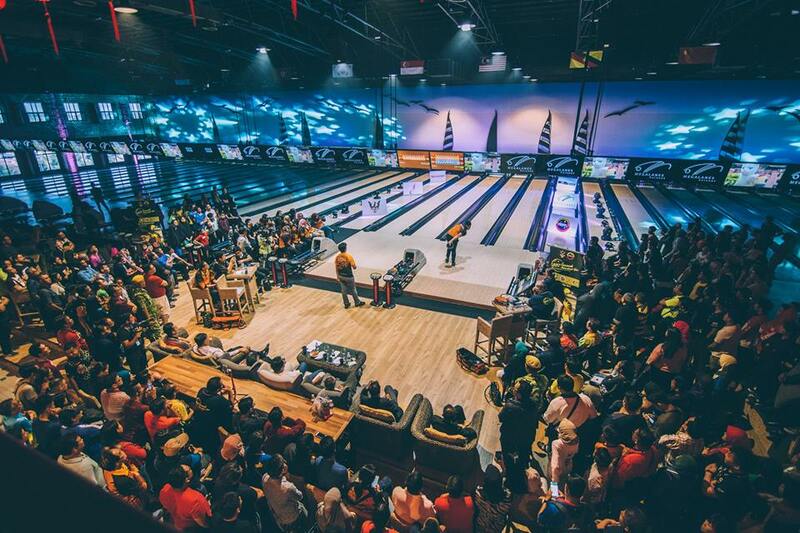 Crowds gather to watch the Sarawak International Open Tenpin Bowling Championship 2017. Image credit: Sarawak International Open Tenpin Bowling Championship 2017 Facebook page. 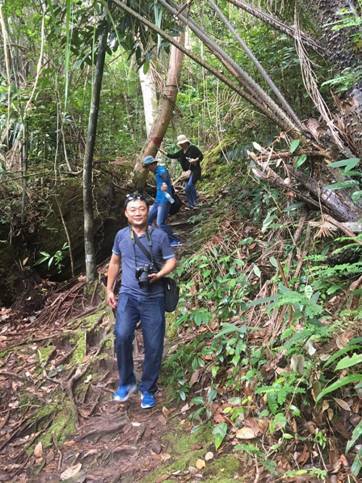 The Visitor’s Information Centres (VIC) of the Sarawak Tourism Board conducted six Sarawak Product Experience (SPE) trips throughout the State this year. Some of the products visited by the VIC team this year includes heritage trails in the highlands in Long Semadoh and Ba’kelalan, Iban animal tracking at Batang Ai, diving in Miri, Sarikei’s markets as the ‘fruit basket of Sarawak’, Maludam and Mukah. Product management and corporate relations manager Maurice Balang said the team obtained insightful new knowledge through the SPE. Sarawak Tourism intends to hold more SPE over the course of the rest of the year to connect more product owners to tour operators and other key travel partners. Visitor’s Information Centres (VIC) team following an animal tracking tour in Batang Ai. In a bid to glean knowledge from Sarawak’s ecotourism, conservation tourism and national park management, a delegation of Danang Department of Tourism, Vietnam visited Kuching from August 15 to 19. In addition to Bako National Park, the delegation visited Semenggoh Wildlife Centre and were briefed by the Sarawak Forestry Corporation. They were awestruck by Sarawak’s use of wooden staircases instead of cement and how the parks provide job opportunities to locals in the form of maintenance, construction, transportation and guiding. Among the delegation were the deputy director of Danang Tourism Truong Thi Hong Hanh, Planning and Development Division deputy managers Phan Minh Hai and Son Tra as well as Peninsula management board deputy director Nguyen Duc Vu. Danang Tourism delegation trekking through Bako National Park. Sarawak was hailed as “Malaysia’s Favourite Destination” for this year’s Malaysian Association of Tour and Travel Agents (MATTA) Fair KL, which took place on the eight to 10 September at the Putra World Trade Centre (PWTC). With 13 travel agents and hoteliers offering over 108 packages at the Sarawak Pavillion, as well as a cultural troupe decked in the traditional garb of Sarawak tribes, Sarawak stood out among the other local booths. 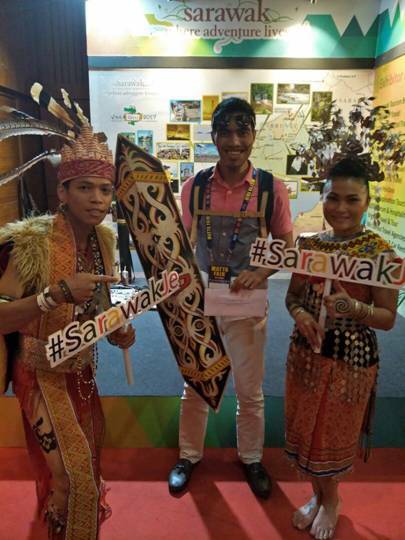 Sarawak Tourism had launched a #SarawakJe hashtag for the event for a daily Instagram photo competition at the Pavillion, as well as a lucky draw for those who purchased tours from travel agents. One of the winners of the Instagram competition, receiving his reward. The First Year Anniversary for the Brooke Gallery will be celebrated on September 24 at Fort Margherita. Over the course of one year, the gallery has recorded over 26,000 visitors, with some 13% of them being global visitors from at least 70 countries. The gallery has also received more than 60 schools and their field trip groups, welcomed more eight ambassadors and high commissioners and heads of state, including the former president of Nigeria, Muhammadu Buhari. The anniversary celebration will include an Inaugural Cardboard Boat Race on the Sarawak river as well as fun activities for secondary school students based on Sarawak’s history and heritage. 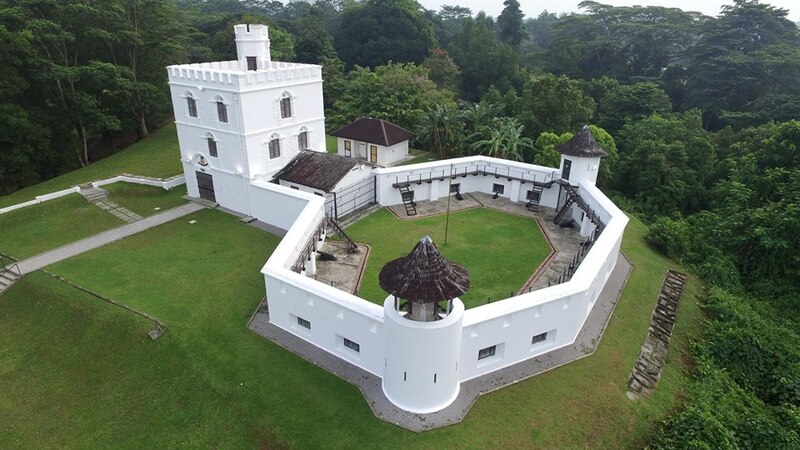 Image shoes aerial view of Fort Margherita where the Brooke Gallery is housed. The inaugural Borneo Fest was a great success after being held on September 11 at the Suria KLCC to promote Sarawak and Sabah to local and foreign travellers. This festival focused on educating West Malaysians and foreign tourists about the history of Malaysia’s formation as well as showcasing Sarawak and Sabah’s unique culture, crafts, music food and fashion. A variety of activities were featured in the one-day event including a Borneo fashion competition, cultural dance performances and a ‘sape’ musical presentation by Saufi Aiman Yahya, Alena Murang and Anderson Kalang, three famous sape players from Sarawak. The Sibu Marathon will be held on September 16 at the Sibu Town Square. There are four routes of varying lengths available for participants, including a 5km, 10km, 21km and 42.195km routes. The annual marathon takes place around the same time every year with the aim of showcasing the beauty of the ‘Swan City’, to explore the city’s outstanding cultural heritage and to experience the local hospitality. 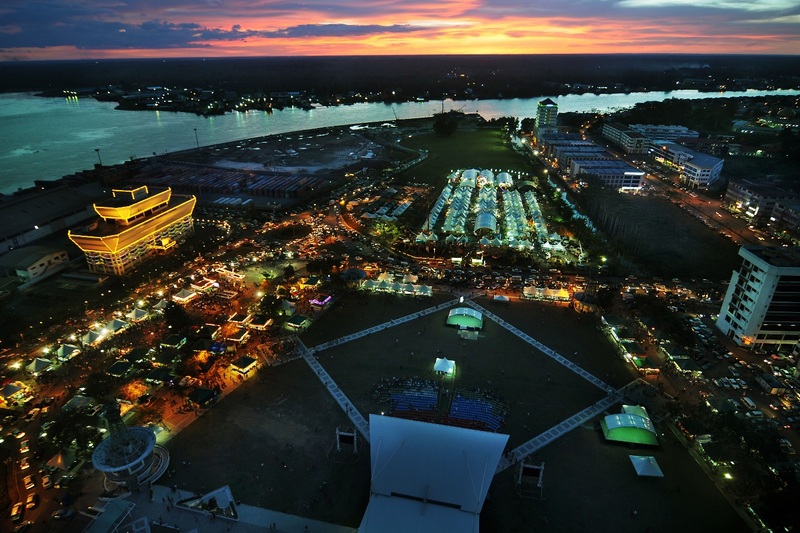 Shows Sibu Town Square, the venue for the Sibu Marathon runners flag off. 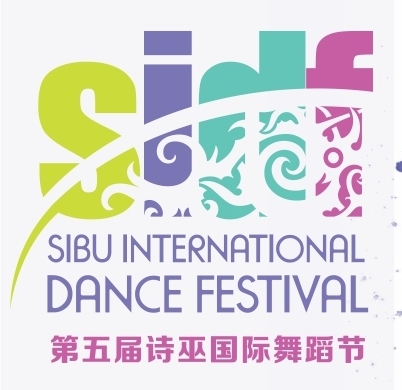 Sibu International Dance Festival (SIDF) will be held on August 29 to September 2. First organised in 2012 by the Hornland Dance Theatre in Sibu, the Dance Festival is an annual event that portrays all forms of dances, traditional or modern, for all age groups and of all races and cultures.